Sizes available: Finished Bust: 34 (38, 42, 46, 50, 54, 58) worn with 2″ ease. 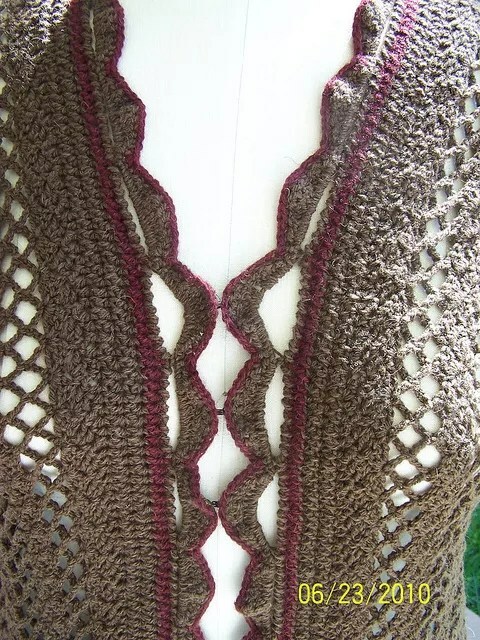 I wanted a no fuss structure garment with a stitch pattern that created vertical lines. The two tone collar adds a little punch to a simple piece. 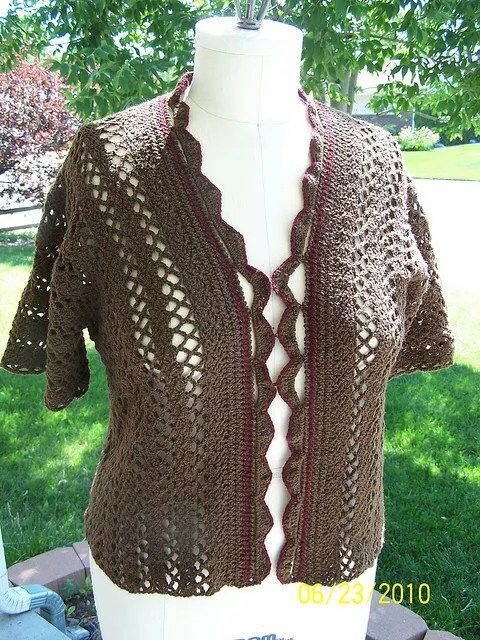 The yarn, Buffalo Gold Earth, is a light worsted weight yarn that works great for crochet projects because it has beautiful drape and because it has 10% nylon which helps hold the extra weight of a crocheted piece. 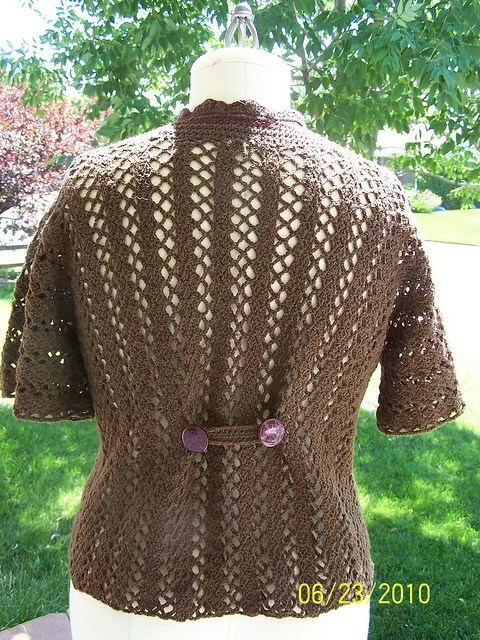 Finished Bust: 34 (38, 42, 46, 50, 54, 58) worn with 2” ease.